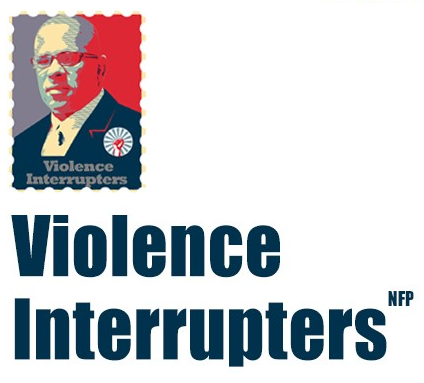 Violence Interrupters will focus on interrupting violence in select cities throughout the United States by establishing short and long term goals that will reduce the number of violent crimes such as; killings, shootings and robberies that are instigated by gang activity and gang retaliations. This initiative is geared towards reducing violence in the target area by 25% and engaging high risk individuals in focus group sessions during the year from middle & high school age. Participants will be recruited by Violence Interrupters as part of the initiative. The target areas will consist of hot spots that have been identified by the Violence Interruption Steering Committee. Violence Interrupters will educate the community through public forums and meeting, mobilizing community organizations, schools and churches to participate in Violence Prevention events. Stopping violence on the front end is primary goal of the Violence Interrupters and working non-traditional hours really helps the Violence Interrupters keep their finger on the pulse of what is going on in the targeted areas. There will be times when no conflicts are erupting in the target area and the Violence Interrupters will continue to spend quality time with the high risk youth, cliques, and groups to establish trusting relationships. The Violence Interrupters will always seek to meet with victims of violence to prevent acts of retaliation. It is a critical time for the Violence Interrupters to defuse a potential homicide or shooting from the victim themselves and help them to review their life decisions and connect them with resourceful outlets that will not result in further violence. Violence Interrupters can and will make a difference with the support of the entire community, by staying pro- active and not ignoring the violence and shootings that occur in the community at large. Violence is real and it’s a real problem that can be solved. Let’s interrupt the cycle of violence and stop shootings on the Front End.